Kaohsiung, TAIWAN – Annually, in the Diocese of Kaohsiung, there are two significant celebrations when the Bishop invites the Priests, Seminarians and Religious Sisters to gather together in a solemn celebration of the Holy Eucharist. The first is at the Chrism Mass during the Holy Week, and the second is on the Feast of the Presentation of Jesus in the Temple. While the former celebration puts emphasis on the institution of the Holy Eucharist and Priesthood as well as the commandment to love, the latter feast emphasizes the gift of vocation to the priesthood and religious life. Christ is the light of the world, and He invites us to share his light to others. Hence, during this Feast of the Presentation, priests, seminarians and religious sisters form a solemn procession to the altar, bearing lighted candles as a symbolic gesture of their self-offering and willingness to bring the light of Christ to the people they serve. 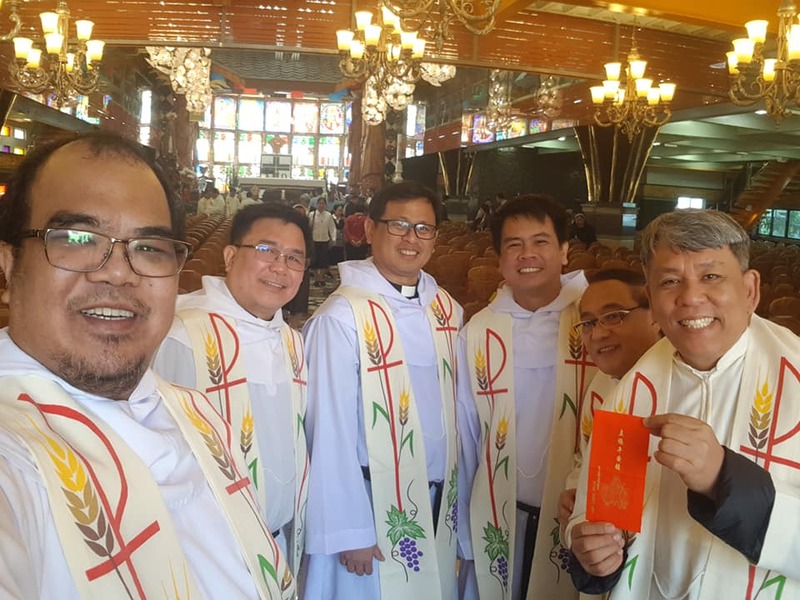 This year’s Feast – on February 2, 2019 – was celebrated at Our Lady of Fatima Parish Church in the Township of Taiwu, Pingtung County. Over a hundred priests, seminarians and religious sisters joined the event. With the traditional Chinese New Year (新春節) being on the horizon, the Bishop, Most Rev. Peter Liu, D.D., also gifted each participant with red envelop (紅包). Then, everyone shared a sumptuous meal after the Holy Mass.